When you are choosing a college to attend, there are many factors that affect your decision. Majors, professors, cost, and location are some of the most recognized factors, but have you considered their sidewalks? You should because you are going to be spending a lot of time walking across campus from one building to another and from class to the parking lot or dorm. It would be wise to attend the college with the best sidewalk. Whether you are walking on a heated sidewalk that melts snow or chalking with sidewalk chalk, you will be learning and making memories to last a lifetime because you will be walking there every day. 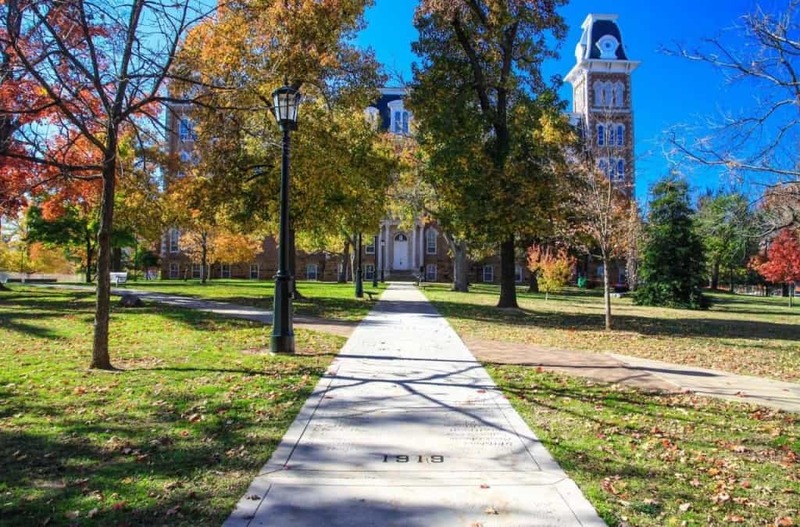 And, at the University of Arkansas after graduation, your name will be carved in the Senior Walk as a lasting tribute to your time on campus. 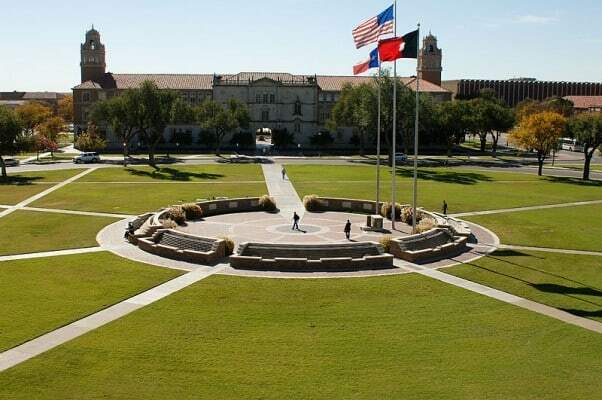 Check out these awesome campus sidewalks before you decide to enroll. Heated sidewalks keep students on the move to classes without the problem of slipping and sliding when snow and ice are on the ground. 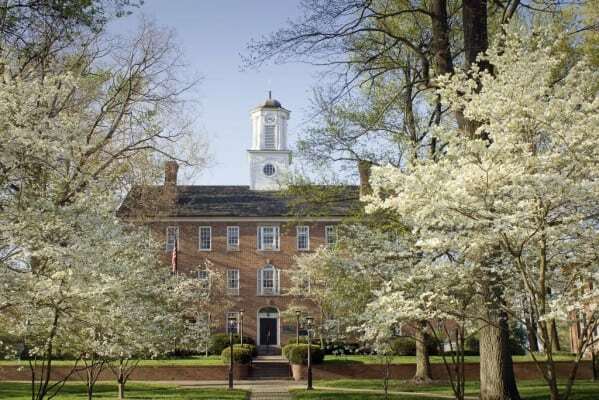 If you are planning to live on campus and like the idea of wearing sandals and snow boots in the same month, then Miami University, Ohio is one of the colleges you might want to visit. 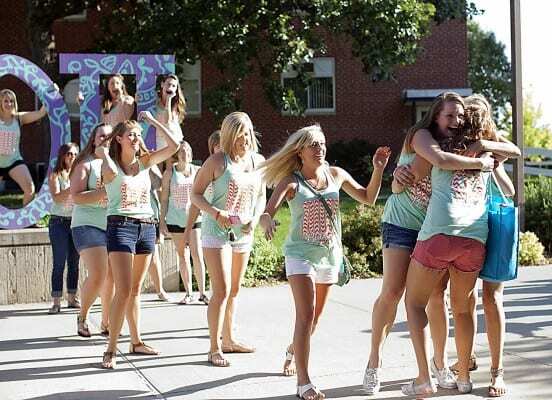 If you are looking to leave a lasting mark on a university, the University of Arkansas at Fayetteville is the school for you. Your name will be indelibly imprinted on a sidewalk after you graduate. The Senior Walk is one of the perks of being a graduate of this University, nestled high on a hill in Fayetteville, Arkansas. Michigan State University has invested in environmentally friendly methods to heat their sidewalks during winter. The sidewalks have a snow and ice sensor embedded in them to turn on the steam that heats the sidewalk to keep them clear for walking. 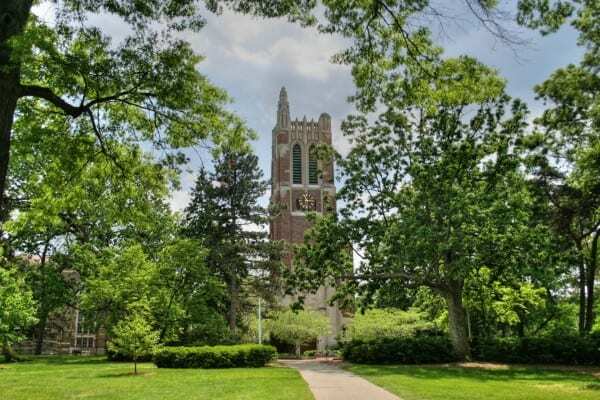 There are over 160,000 square feet of heated concrete on this campus in East Lansing, Michigan. George Washington University, located in Washington, D.C. has entered groundbreaking territory with a solar sidewalk. 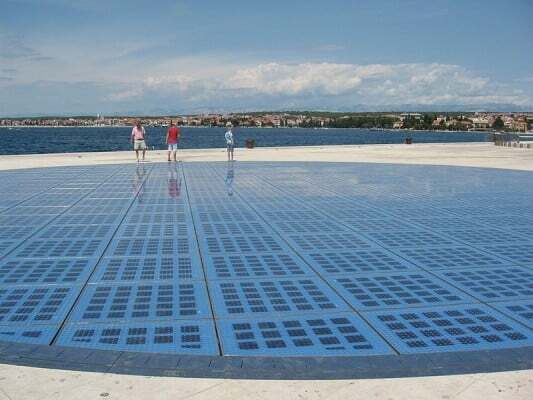 The sidewalk is a 100-square foot walkway built with solar panels. There are 450 LED lights that are powered by the solar panels to make this one of the best lit walkways on campus. It will generate about 470 kilowatt-hours of electricity. The University of Tennessee has improved sidewalks all over campus. The sidewalks in Knoxville are some of the university’s finest landscaping features. 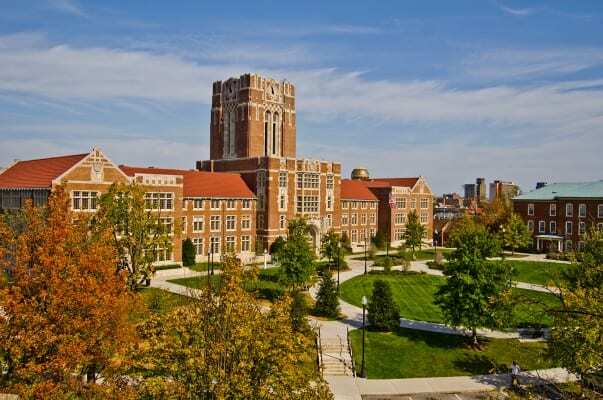 You’ll definitely want to spend time outdoors on the beautiful campus while a student at the University of Tennessee. 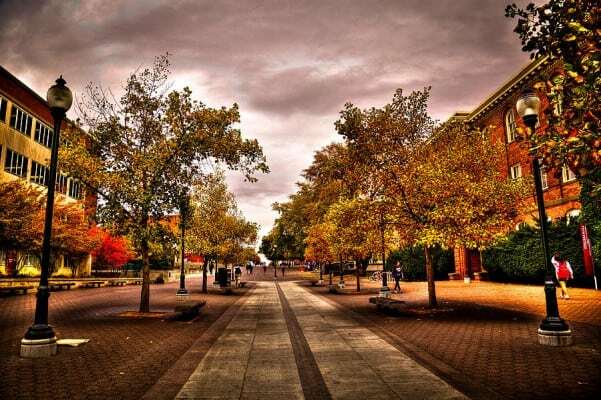 Washington State University, located in Pullman, Washington, is another university on this list with heated sidewalks. These tree-lined sidewalks ensure that you’ll never miss that early winter morning class again. 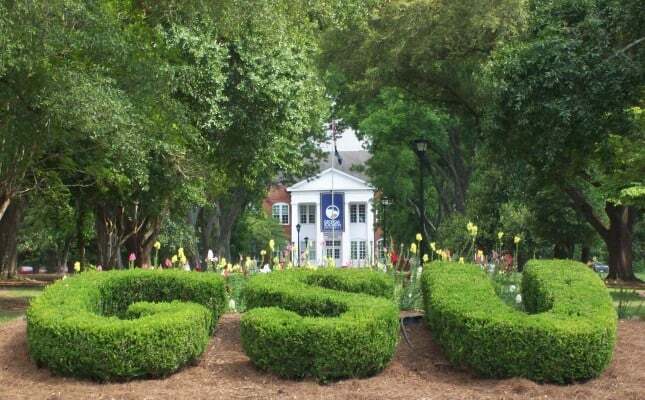 Georgia Southern University is home of the Magic Mile of tree-lined sidewalks made of brick paving stones. University President, Nicholas Henry, was responsible for creating this sidewalk atmosphere during his tenure beginning in 1990. 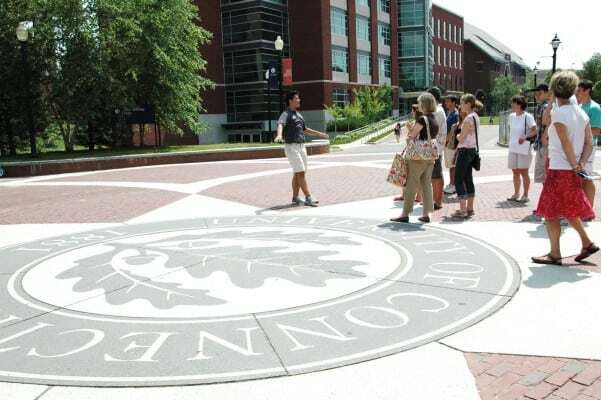 Usually the University of Connecticut is known for their fine academics, but it is time for the university to step into the spotlight is one of the universities with the best sidewalks. Located in Storrs, Connecticut, the campus features heated sidewalks built over the heating system resulting in snow-free sidewalks. Gender specific sidewalks are a unique feature of Andrews University located in Berrien Springs, Michigan. Gold sidewalks are for females only while blue sidewalks are designated for males. These sidewalks are in place to provide a safe haven for the females walking to class without facing unwanted advances from male seminarians who are looking for a bride before graduation. If you are dating and want to walk with your significant other, there are plans for co-ed sidewalks. If you like to draw with sidewalk chalk, Kearney, Nebraska is the place for you. The administration of the University of Nebraska has changed its stance on sidewalk chalk art. It was only for use by groups as advertisements and there was a $50 cleaning fee. The policy banning social and political messages has been repealed after students felt that their freedom of speech was being hindered. So, chalk on, the sidewalk is yours! If you are a bicyclist, Texas Tech’s sidewalks are bicycle friendly. Policy changed in 2013 to allow cyclists to travel on sidewalks to classes. Prior to the change, cyclists were ticketed and fined for riding on sidewalks. Sidewalks near a bike lane are still considered for pedestrian traffic only.